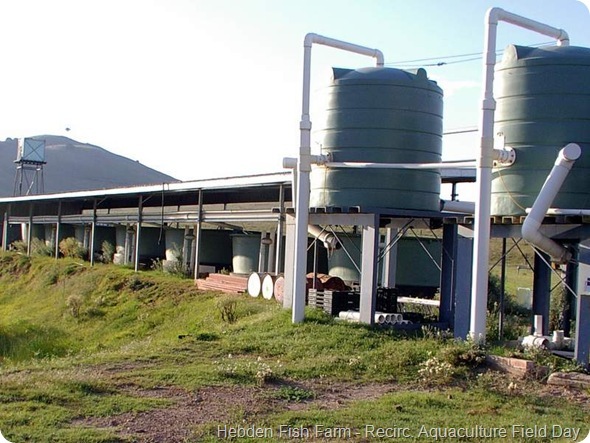 We are please to announce Mike Spiteri from the Hebden Fish Farm has offered to showcase his recirculating aquaculture facility on behalf of the NSW Aquaculture Association. A large part of the Associations Charter is to promote sustainable aquaculture in NSW, this farm presents a perfect opportunity to do just that. This particular system is very low tech and built by Mike at a very low cost which will demonstrate lower cost entry level recirculating aquaculture. Ideal for those thinking about starting up and want to get some ideas on system set up. This a fantastic opportunity for anyone interested in entering the aquaculture industry from the backyard fish farmer, to the hobby or small scale aquaculture even aquaponics operation right up to commercial to get a first hand tour of an operational commercial aquaculture farm and discuss the benefits and some of the issues an aquaculture farmer faces, from farmers with decades of experience. The site is in Singleton, NSW a few hours out of Newcastle. You would need to plan a day trip coming out of Sydney. People attending out of State can fly into Newcastle and drive out to site. Signs will be put up on the road to help you find it. A download of a map to the property can be found here. Start time is 1pm on Saturday 20th October to give time for those traveling out to get there. We will finish around 3 or 4pm on Saturday. Ticket purchases can be made below. Australian Aquatic Biological are sponsoring the event with Hebden Fish Farm and Earthan Group Pty Ltd. All monies and payments are made directly to the Association. This post is provided to promote the Recirculating Aquaculture Field Day on behalf of the Association and all proceeds are to the NSW Aquaculture Association.